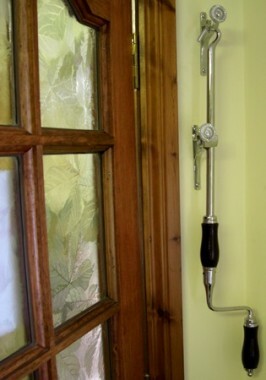 Our classic winder poles add that finishing touch to your conservatory. We have a choice of sunroom or conservatory window winder poles and telescopic poles made from either timeless solid, polished brass or polished aluminium designed to easily crank open your window screw jacks. 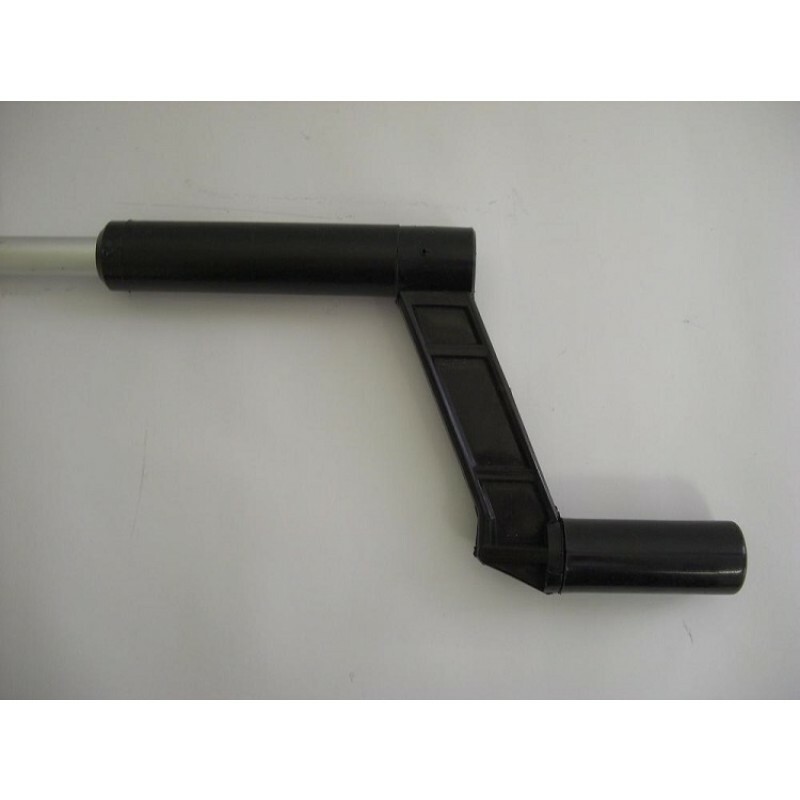 The window winder pole and telescopic pole handles come in a variety of finishes, whether plastic or natural wood, with sizes to suit all window opening requirements. 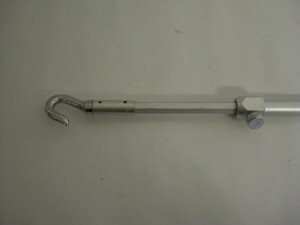 Telescopic window winder pole finished in chrome and supplied with a wooden handle. 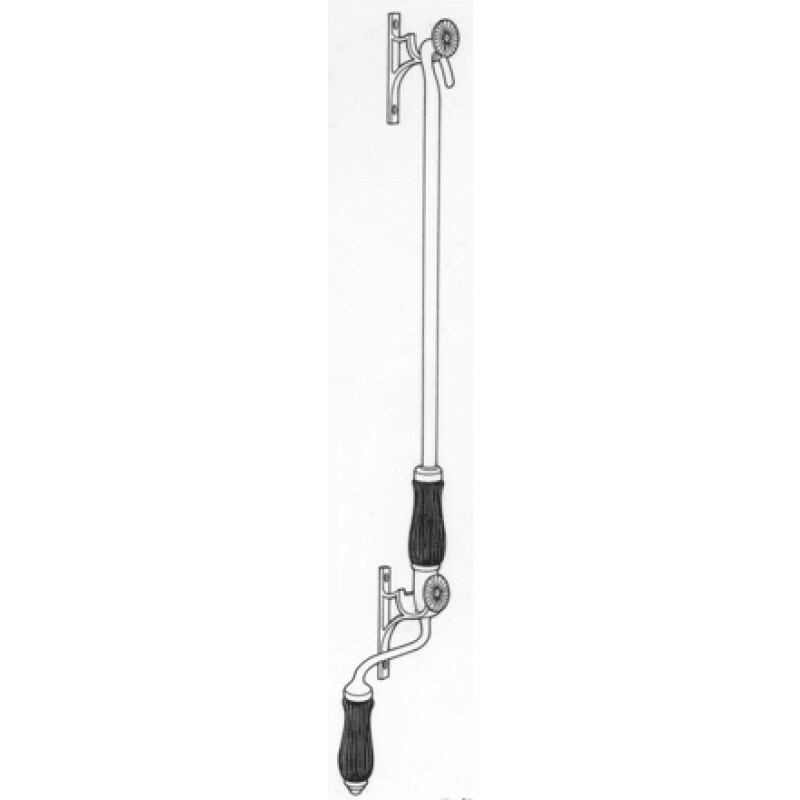 Telescopic window winder pole with highly polished reflective chrome finish and black solid wood handles. 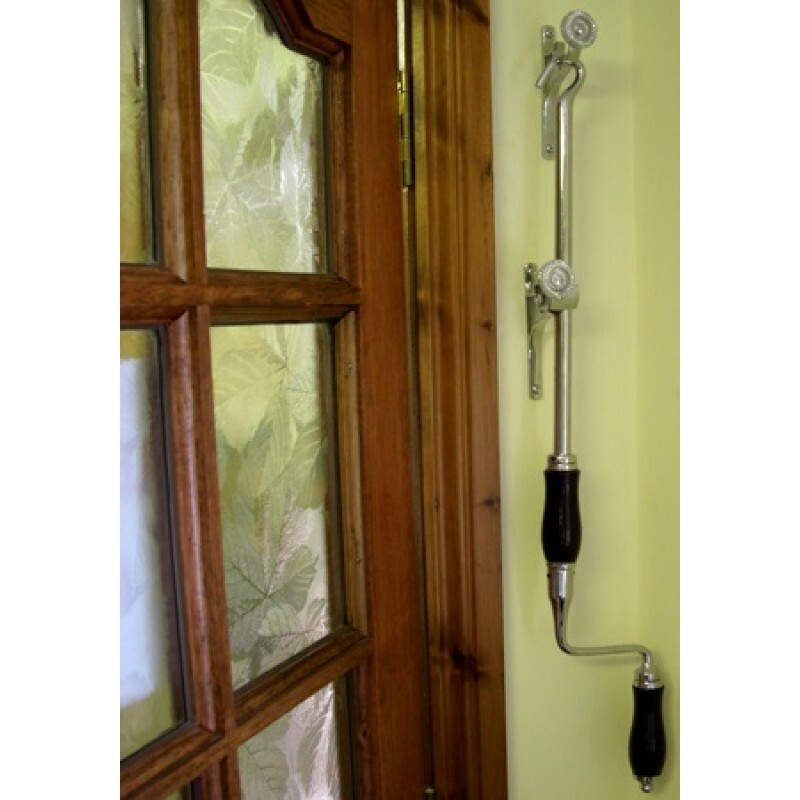 Adjustable between 0.9m & 1.4m it can be used for windows at varying heights. Quality brass movements make this a functional, durable and adaptable winder pole. Matching screw jacks available. Wipe with a lightly oiled cloth to maintain the finish. 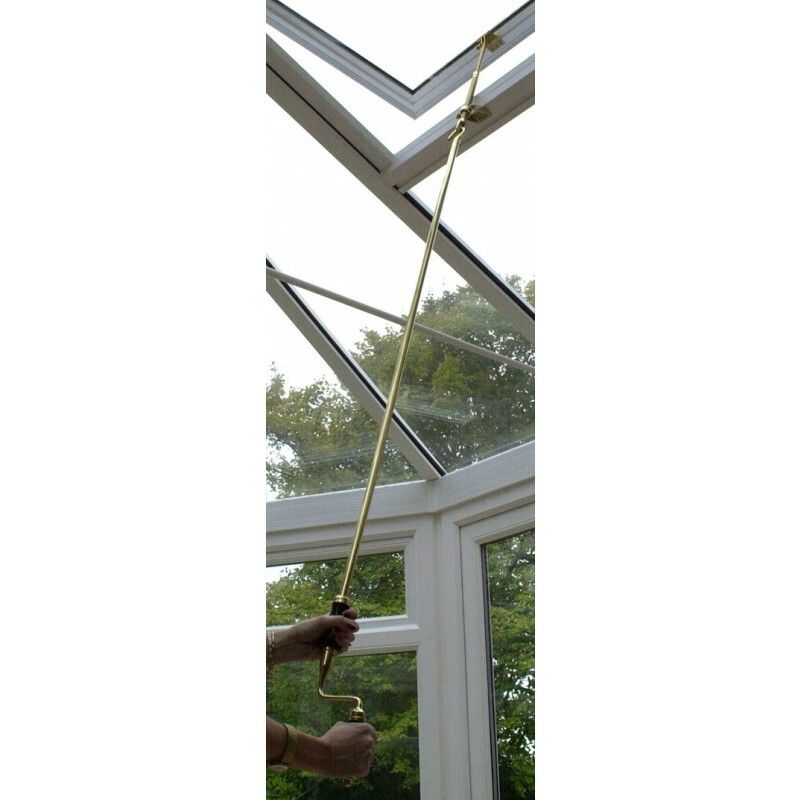 Extendable from 0.9 - 1.4m using the adjustable screw fixing, this lacquered brass winder pole can be used for windows of varying heights. 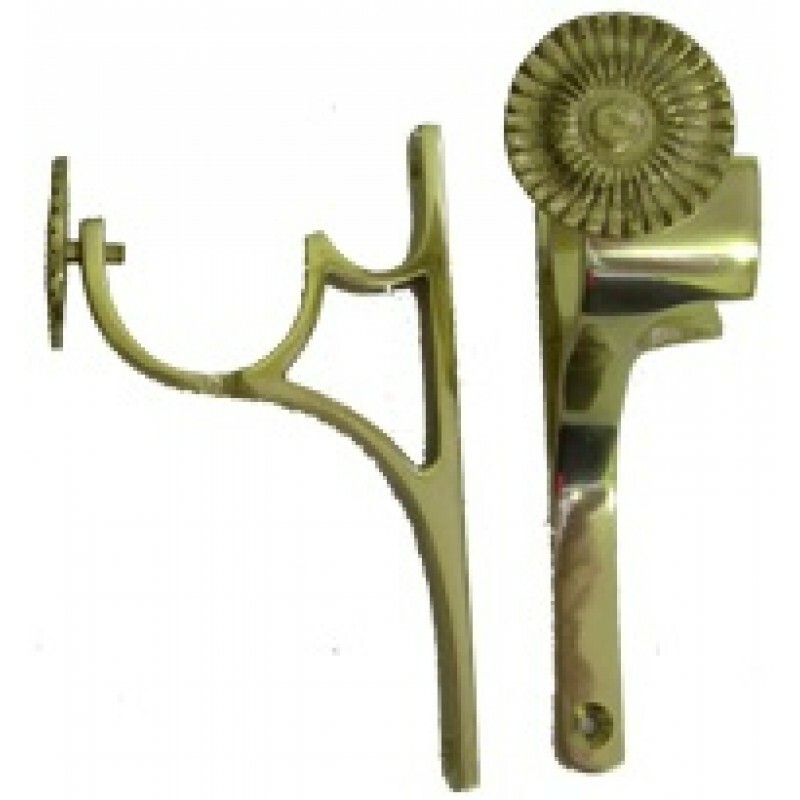 The high grade, polished brass finish make this winder pole an ornate and functional accessory to your window fittings. Also available in polished chrome, matching screw jacks can be purchased separately. 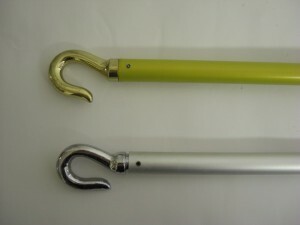 Pole length: 900mm (0.9m) extending to 1420mm (1.4m). Brass base with a polished chrome plating applied. Modern in style, the solid wooden handles and smooth winding movement pair contemporary design with high functionality. 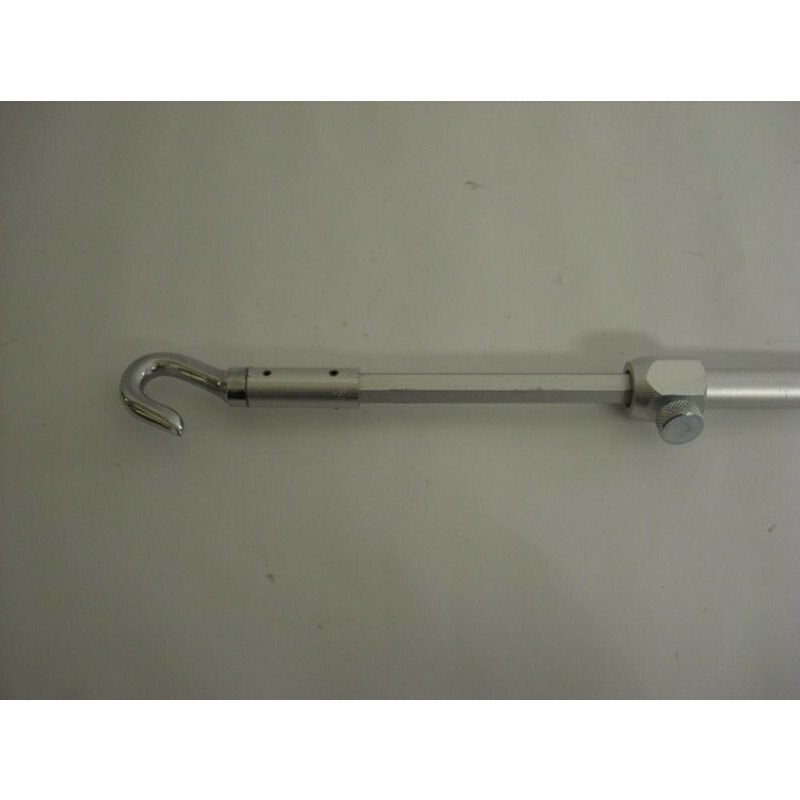 Telepscopic winder poles or screw jacks also available in bright chrome or lacquered polished brass. 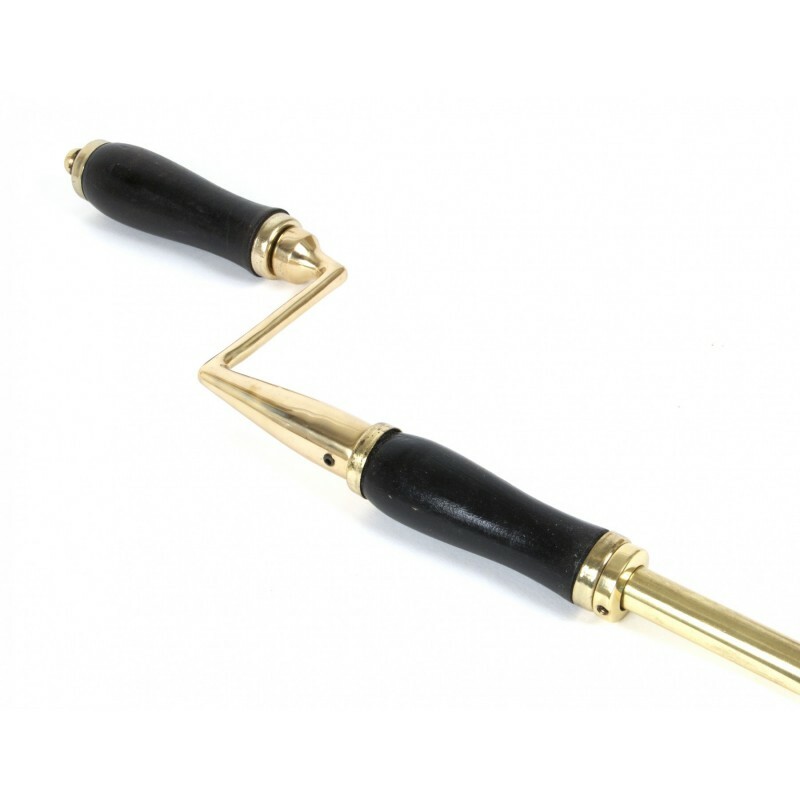 Featuring black hardwood handles this high quality polished brass winder pole allows you to open windows and fanlights with ease. Also available in a telescopic version (adjustable up to 2 metres,) matching screw jacks can be purchased separately. Lacquered for lasting protection, the finish can be maintained by wiping with a lightly oiled cloth from time to time. 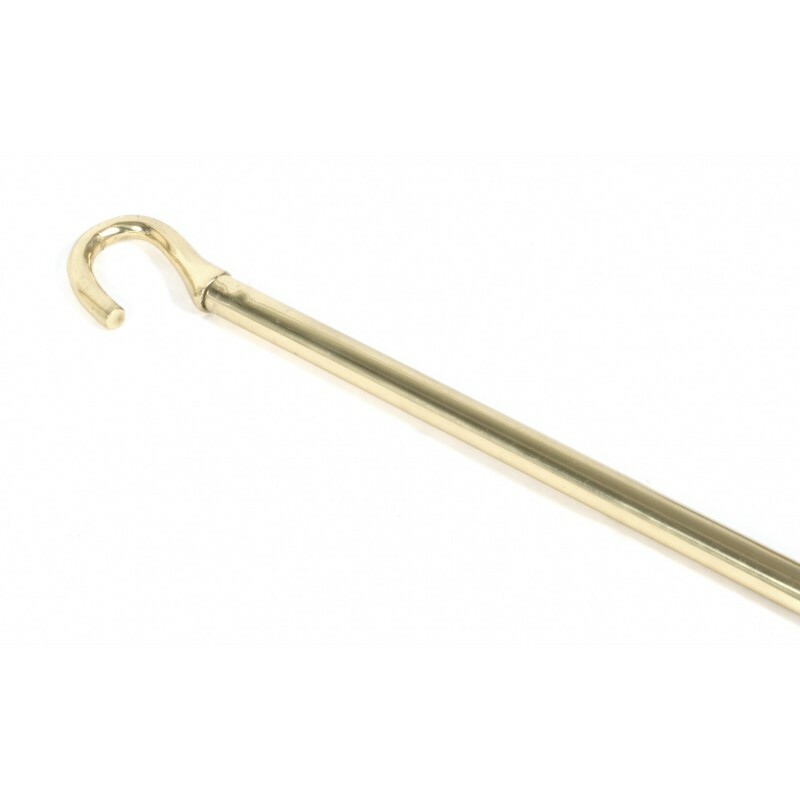 Telescopic winder pole in solid polished brass. Finished with a hard wearing lacquer and featuring hardwood handles. A wonderfully practical and functional tool for both domestic and commercial settings. 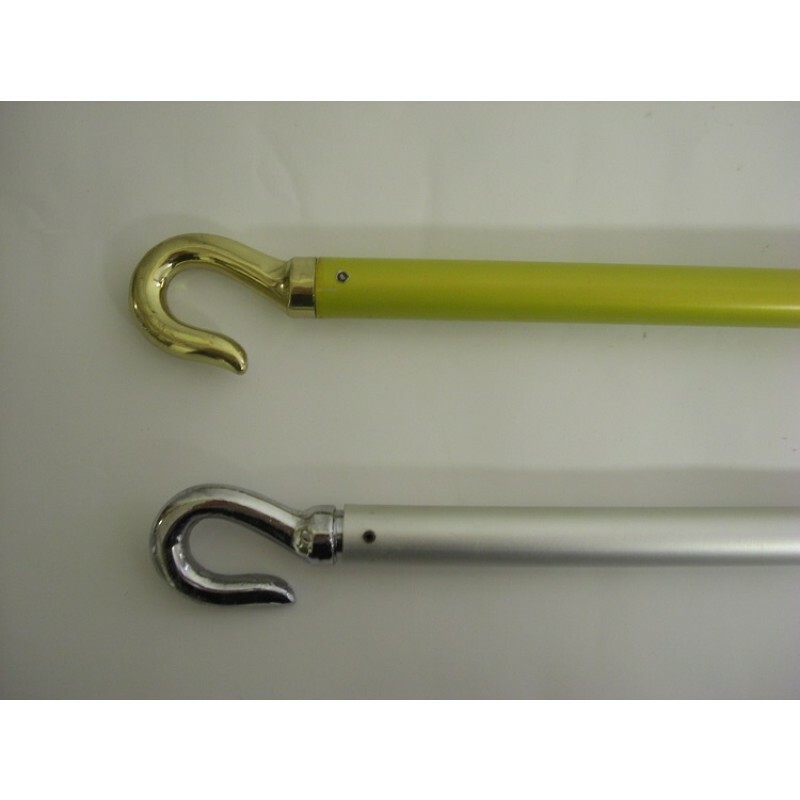 The telescopic winder pole illuminate the need for ladders and steps. The window pole also helps to make tasks such as opening fan lights, sky and roof lights, as well as shop canopies easier and safer. 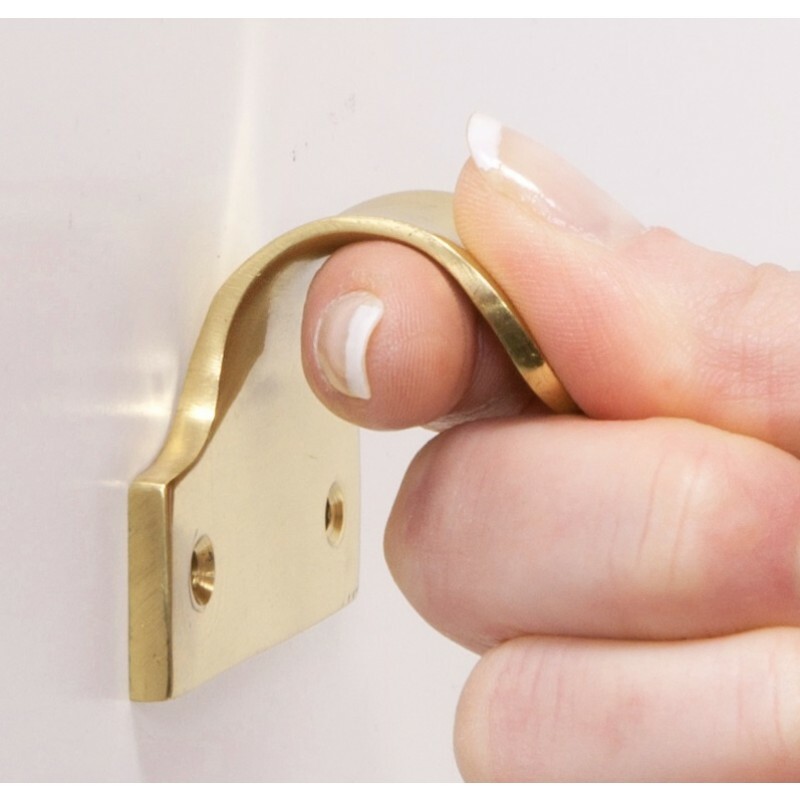 The hook has been crafted from solid brass castings, while the knurled nut has been created from extruded aluminium. The window pole has a minimum length of 2.1m when retracted and a maximum of 3m when fully extended. finished in Silver, with black plastic handle.  Length: 2.1m - 3m (6’ 10⅝” - 9’ 10⅛”) approx. 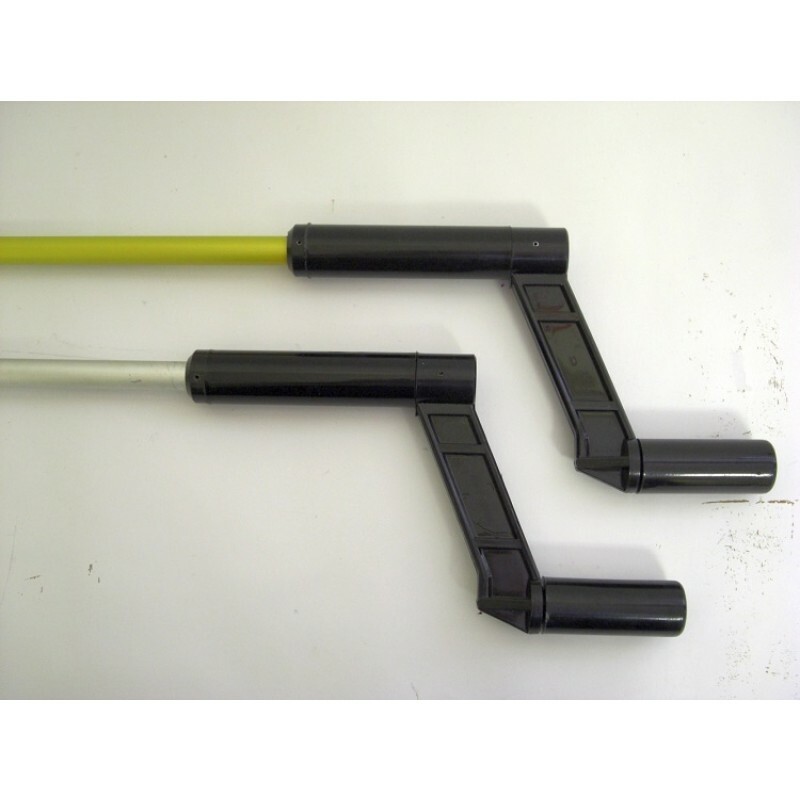 This Aluminium Winder Pole 1m and 1.5m is made from aluminium tube, with a black plastic handle, finished in one of 2 anodised colours, gold or silver. The pole is approx. 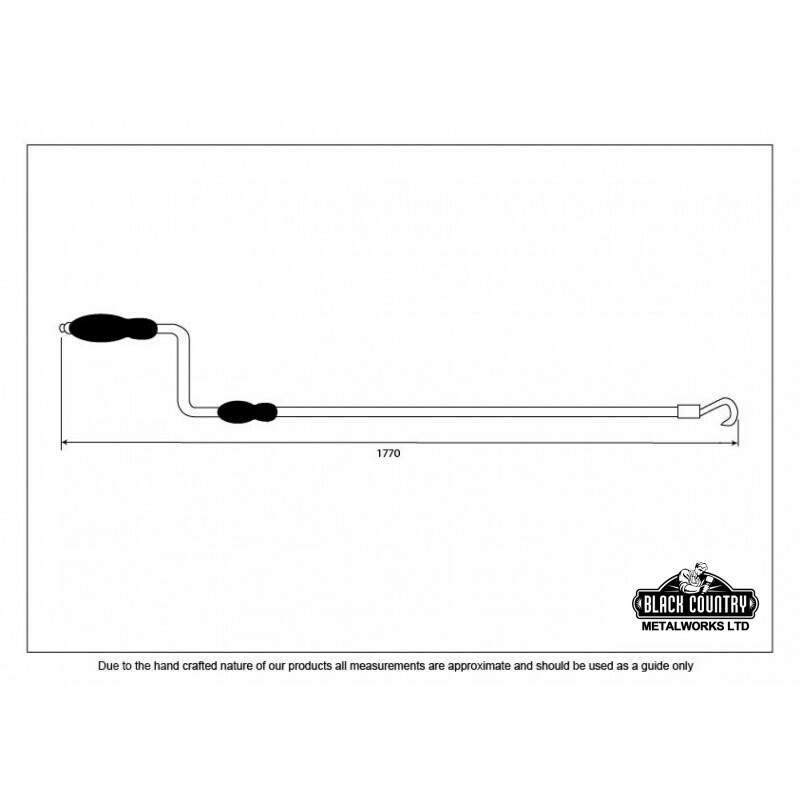 1m or 1.5m (3’ 3⅜” or 4’ 11") including the handle and the handle protrudes approx. 125mm (5") out from the pole. 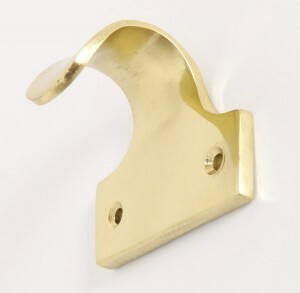 The solid brass, sash lift is designed for fitting to your period sash windows. Perfect for assisting in raising and lowering your windows efficiently and safely. Available in either polished brass or bright chrome finishes. Our Winder Pole Brackets just adds that finishing touch to your conservatory, with its elegant sunflower design and is a practical way to store your winder pole when not in use. Available in either polished brass or bright chrome. Sold in pairs.